Tuna Toast: 明けましておめでとうございます, or, Happy New Year!! 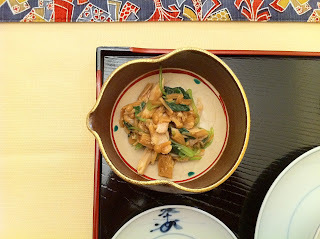 Renkon mousse with shrimp and unagi: This dish is new our our family New Year table; my mother's friend had prepared it for her and mom was blown away so she looked up the recipe. Renkon is lotus root, and she grated it, folded it with egg whites and steamed it, then served it atop some poached shrimp and grilled unagi (eel) and garnished it with gingko nuts. It was mellow and savory and the perfect way to start off the meal. Chicken and enoki mushrooms with mitsuba: Another appetizer to open up our stomachs before the big feast. 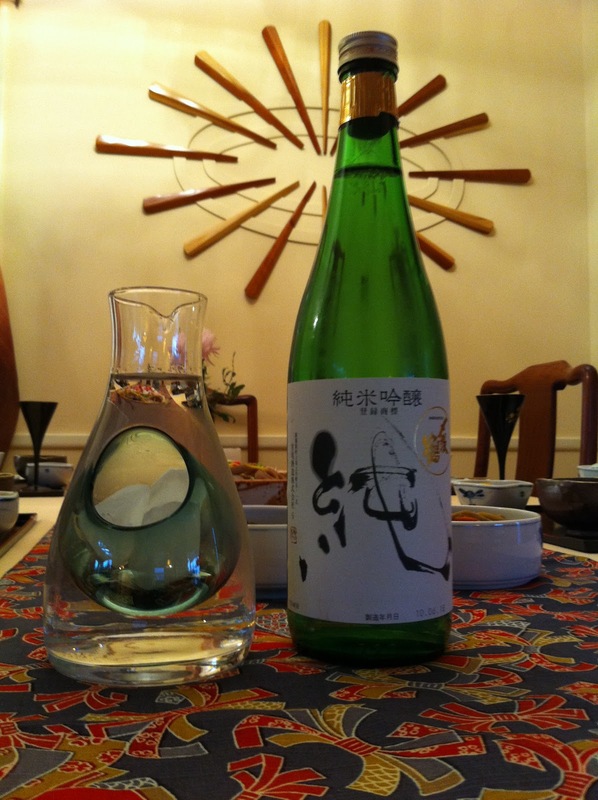 Mitsuba is a type of wild, Japanese parsley that has a distinct flavor, but I've never found it to be too strong at all. 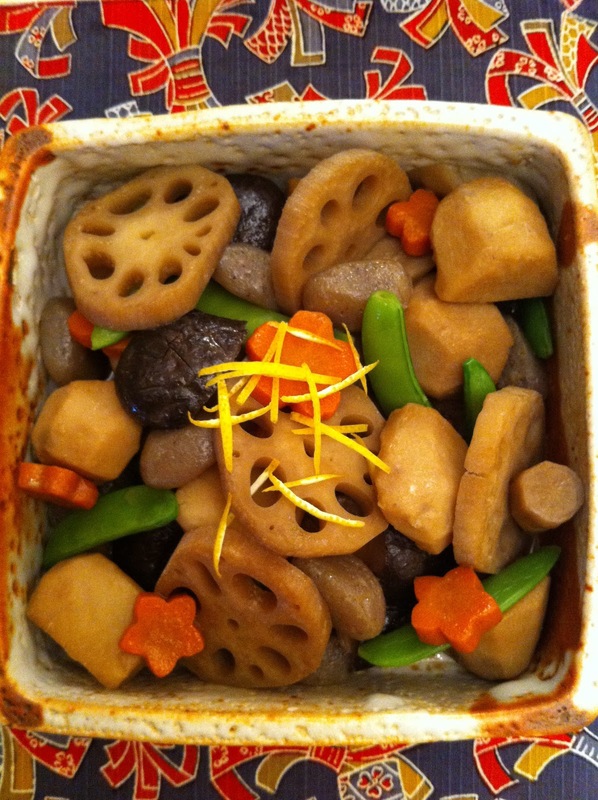 Nimono: An array of vegetables, including gobo (burdock root), renkon (lotus root), carrots, mountain potato and snow peas simmered in broth, soy sauce and a touch of sugar. 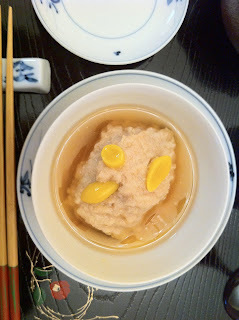 The little balls you see are konnyaku, which is made of the starches from a type of yam, and has virtually no flavor or calories, so it takes on the flavor of whatever you cook it in. I'm sure it's strange to a lot of people, but it's really good for you, and because it's filling but doesn't have many calories, it's known as the broom of the stomach. Funny eh? 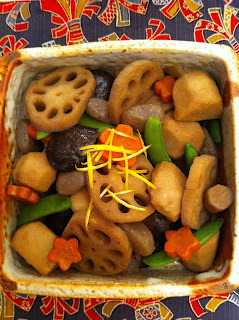 Tazukuri and Kinpira Gobo: Tazukuri and little sardines cooked in sweet soy sauce, and my mother got this year's batch as gift from a friend; they were the best I've ever had, with the little fish being quite meaty. On the right is a bowl of kinpira gobo, which is gobo (burdock root) and carrots tossed in a spicy seasoning made from soy sauce, sesame oil, sugar and dried red chiles. 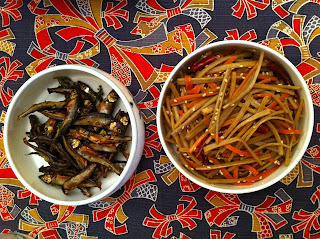 It's easy to make, and certain not exclusive to New Year's. 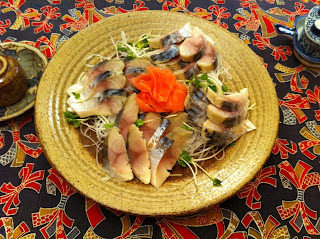 Shime saba: This marinated saba (mackerel) is the dish that J literally waits ALL year for my mom to make. 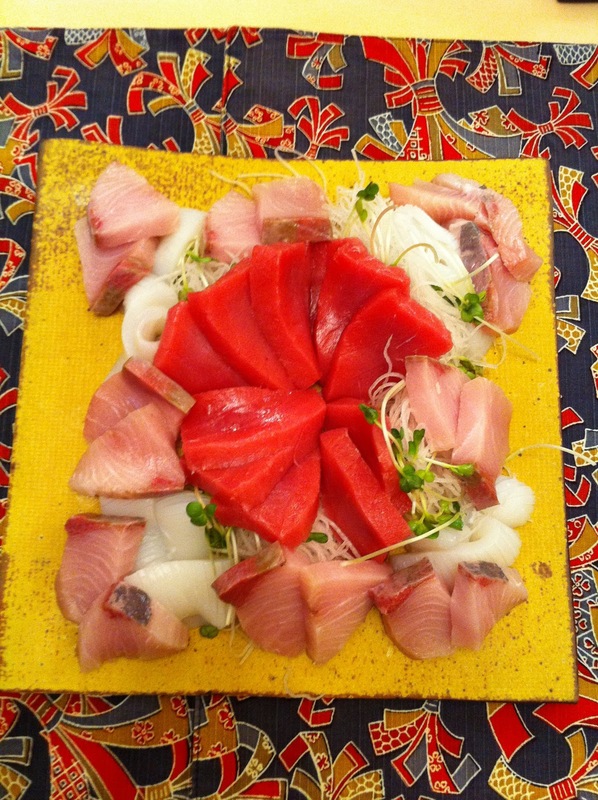 Sure, you can have saba anytime at most sushi places, but no one makes it better than my mom...it's true! 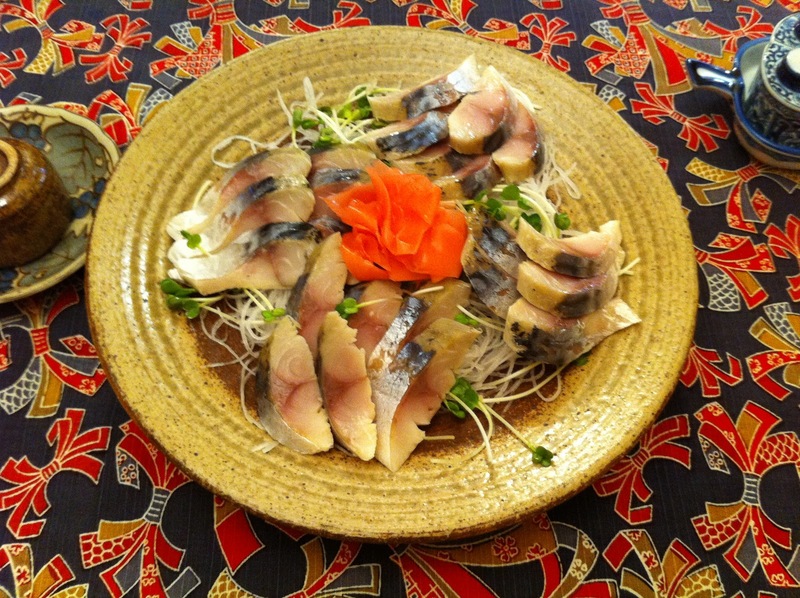 The fish is folded in softened kombu (seaweed) and both are marinated in rice wine vinegar, sugar and white onions. Oh, let's take a little break from our food programming to tell you what we washed all of this gorgeous food down with: sake, of course! 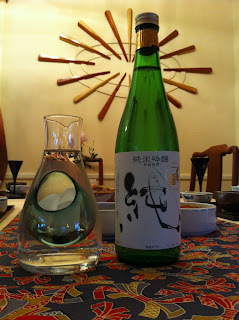 Our favorite sushi chef, Toshi at Z Sushi, gave this bottle to us a couple of weeks ago and we'd been saving it for our special meal. The piece of art on the wall behind it is something my father made out of leftover wood- cool right?! Sashimi assortment: Oh man....just looking at this picture makes me want to have it again, right now! 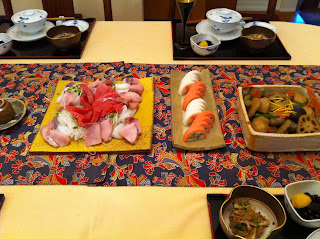 We had fatty hamachi (yellowtail), tender ika (squid) and beautifully buttery chu-toro (medium fatty tuna). Mom always makes a bed of thinly sliced daikon and garnishes it with daikon sprouts- all of it is delicious dipped in soy sauce with a touch of wasabi. Kuro-mame and kuri: This isn't dessert, exactly, but a little something sweet you can take bites of in between all of the savory elements of the meal. 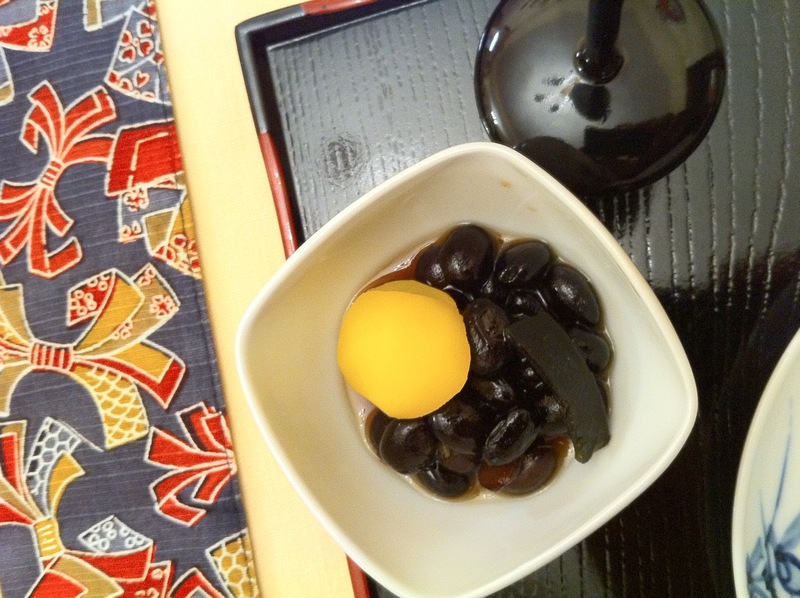 Kuro-mame are black soybeans sweetened in a light syrup, and kuri is a chestnut, also macerated in sweet syrup. 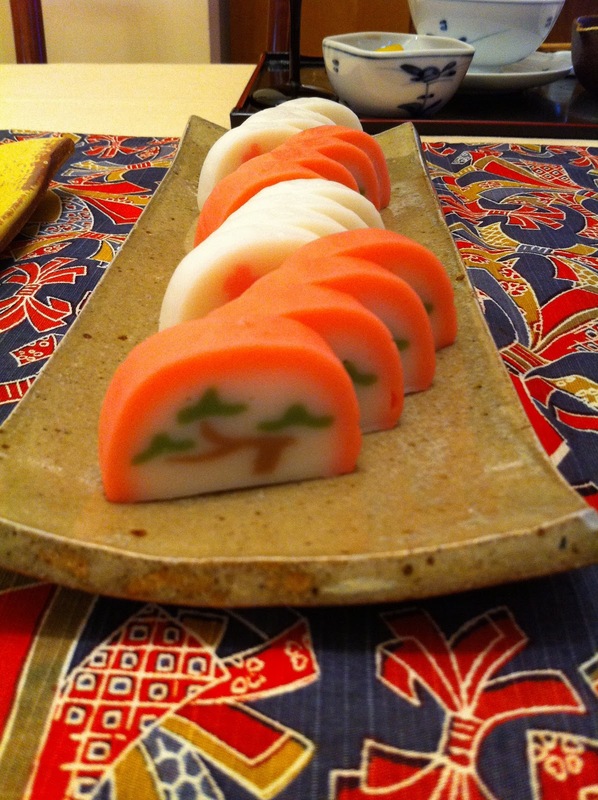 We ate until we couldn't fit any more food into our tummies, and then sat down to watch some Japanese travel shows that feature ryokan (traditional Japanese hotels), onsen (hot springs) and lots of gorgeous fall scenery and traditional food. It was the best way to spend the first day of the year- I hope the rest of 2011 lives up to that perfect day! And ooo... 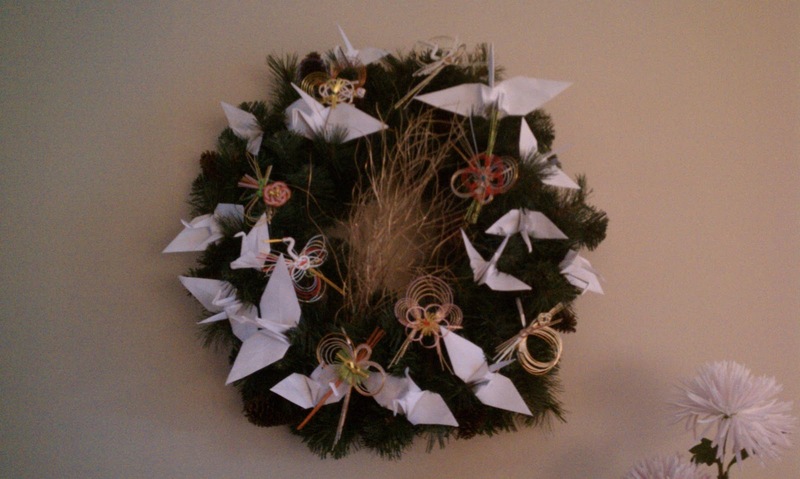 I love the wreath your mom made and the wooden art piece your dad created too! Super cool!! !